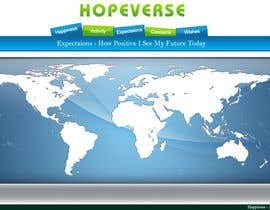 Hopeverse is service where you can share your hopes and moods. Mission is to show that we all are dreaming all the round the world. Now we will be able to see what are important things to other people and how their preferences differs from ours. Vision is to improve understanding of each other, even a little. Visit on service and notice that it is 'kind of cold'. 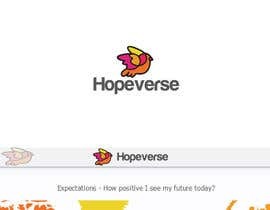 That's not how our precious hopes and dreams are allowed to show! Dont worry all the details. Just present an idea that fits the spirit of the services and its goals as described above. Goal is to find initial visual consept for the service. Later there will be lot of design work around this project. any edits to the design to make it better ? or u like me to make a new idea ?